Decimal numbers are smaller than a whole. They are found to the right of a decimal. 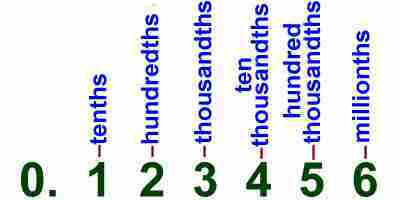 Can you record decimal numbers in a place value chart?